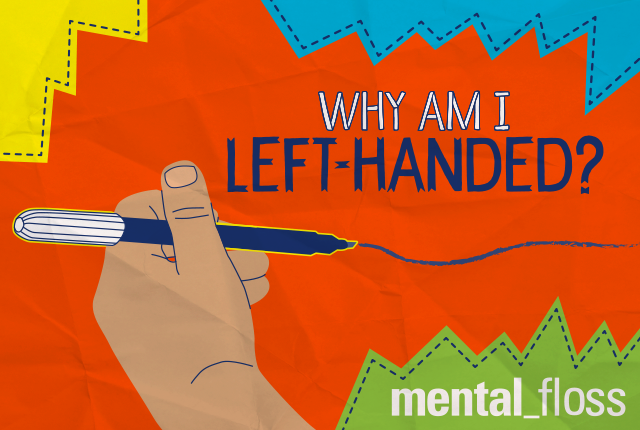 Only about 10 percent of people—just one in every 10—are left-handed. If you’re one of them, you are part of a rare and special group! Scientists think handedness, or the hand we prefer to use, is affected partly by our genes. Whether you are left-handed or right-handed might be decided by your genes. Scientists aren’t sure. Gene mutations (myoo-TAY-shuns), or changes or mistakes in our DNA, in one group of genes might play a role. Another idea scientists have is that before we are born, when we are still inside our mothers’ bodies, hormones (body chemicals that help us grow) may make changes to our baby brains that influence whether we are left-handed or right-handed.